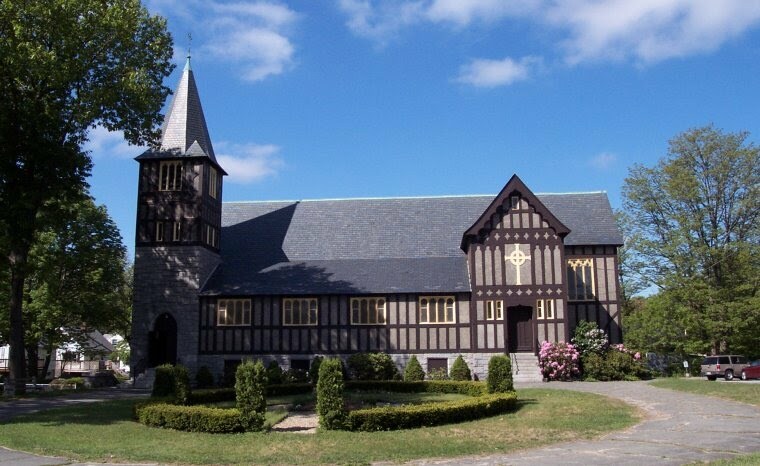 St. Andrew's is a family-oriented parish that has enjoyed being in Methuen for over 100 years. Our parish is made up of people of all ages - from infants to seniors. Many people have been here since the beginning of the merger between All Saints, Methuen and St. John's, Lawrence (to become St. Andrew's, see history) while others have recently become a part of our parish family. We are made up of people who love God and love the church. Our Sunday service starts at 9:30 AM, and is a Rite Two Holy Eucharist. This is a family service with organ and choir. Sunday School meets from 9 AM to 10 AM (not during school vacations). After the service there is a coffee hour, where you can get to know us, and let us know about you. We have free off street parking in lots to the side and rear of the church and all areas of our building are fully accessible. In an effort to live into its promise to love one another, St. Andrew's has donated food to the Methuen Arlington Neighborhood through the MAN, Inc. food pantry for many years. This is a vital support, particularly for families working at minimum wage who no longer qualify for food stamps. Along with fresh bread and milk, we donate items that are non-perishable like canned tuna, rice, spaghetti sauce, and canned vegetables. Through this experience, the congregation has expressed a strong desire to get to know our neighbors better. So we asked our neighbors: what could we do together to help you address a challenge? What they told us was this: in the center of the city, away from the large grocery stores, fresh vegetables can be very hard to find in the corner variety stores. As a result, we find "fresh food deserts" where those confined to the center of the city have very little access to fresh vegetables and healthy food choices. And as we've all experienced, fresh vegetables, while the healthiest food of all, are often quite expensive when you live on a stretched budget. To make matters worse, the multifamily buildings in which people live are surrounded by asphalt and concrete, with no available gardening space. St. Andrew's has set aside a section of its property as the St. Andrew's Community Garden for the Methuen Arlington Neighborhood (the first of its kind in Methuen! ), and has been actively engaged in soliciting donations. The Dracut Boy Scout Troop 83 has been assisting us in soliciting donations, and in the building of the raised beds. Residents of the Methuen Arlington Neighborhood have applied for one of the fourteen raised beds. Residents helped build the beds and will plant their seeds, water and weed their plants, and enjoy all of the fresh produce, sharing the extras with their neighbors. Guiding and advising us is Groundwork Lawrence, who has helped build 10 community gardens in Lawrence. They will continue to help us with workshops, advice, and management. Through donations, monetary and in-kind, we were able to build & plant the 14 raised beds we planned for. While our online fundraising campaign has ended, we still appreciate any size donation, every dollar helps to keep this wonderful effort going! You can donate through PayPal, via this secure link: www.paypal.me/standrewsmethuen Please reach out to us if you have questions or want to get involved! Be a part of this community effort! Also read the articles that MethuenLife did about the garden: the first article in the June 2018 issue and a follow up in the August 2018 issue.